The Redlands Coast has a wonderful history and bright future. 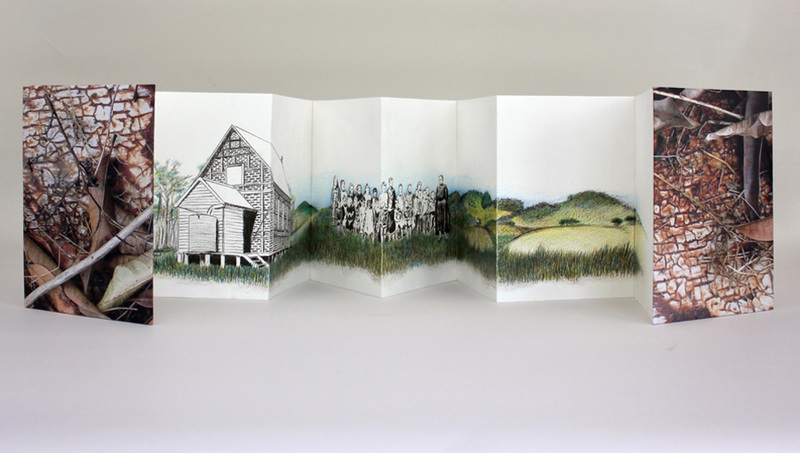 From Little Things features artist books that highlight Redlands’ past and present places of learning and celebrates its strong sense of community. Image: Robyn Foster, Mount Cotton 2018, Canson Aquarelle 250gsm watercolour paper, watercolour pencils, photograph straw board, adhesive. Courtesy of the artist.